This December a number of London’s most interesting comedy promoters, including Laugh Out London, are turning an abandoned building into a special pop-up venue – Heroes: Grotto of Comedy will take over Throgmortons, a once lavish City of London hang out that has lain empty for 4 years. 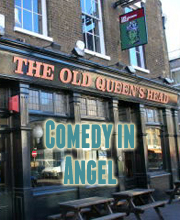 Laugh Out London is involved in two productions to take place as part of Heroes: Grotto of Comedy. On Dec 9, 11, 12 and 13 we are supporting the Weirdos comedy collective to put on another alternative christmas panto starring a host of the UK’s best comedians, including John Kearns, Harriet Kemsley and Luke McQueen. All profits from A Christmas Tail will go to Great Ormond Street Hospital. And on December 15 we put on A BIG Stupid Comedy Night for Charity, a fundraiser for the housing charity Shelter. The evening will feature Stewart Lee, Pappy’s, Josie Long, Nish Kumar, Sara Pascoe and Simon Munnery as The League Against Tedium. Tickets go on sale at 10am November 14. Sign up to the mailing list to receive the link. Below is a list of shows to be held at the venue in December. 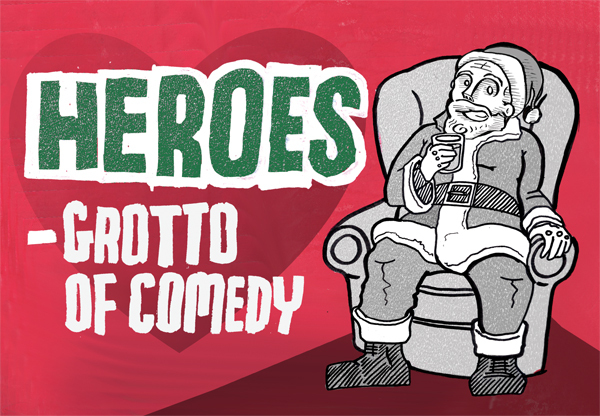 Get your tickets for Heroes – Grotto of Comedy. Join John Robertson (Challenge TV’s surprisingly popular Videogame Nation) for the world’s only live-action videogame! The Choose-Your-Own-Adventure where you don’t get a damn choice. Winner gets £500 if anyone wins. Mr B brings The Chap-Hop Christmas Ball to the City! Featuring a special Christmas-tinged set by Mr.B The Gentleman Rhymer alongside some special guests – Plus parlour games, dancing and general festive cheer. Legend in his own lunchtime and grumpy old man of the highest order Smith presents a chat show where the guests, breathalysed in front of the audience, are utterly smashed. Scott Capurro brings his critically acclaimed live comedy chat show to the Grotto, with New Act of The Year 2011 ) second banana David Mills. Santa Bob Slayer has come bearing gifts. Secret Santa-Geddon & Heroes Grande Finale….